Borderlands 2‘s fast and frenetic gameplay could be perfectly converted into a classic 2D run & gun arcade game, similar to the Metal Slug series. Olsonmabob on DeviantART couldn’t resist further playing with this idea and made a pretty lively piece of concept art. 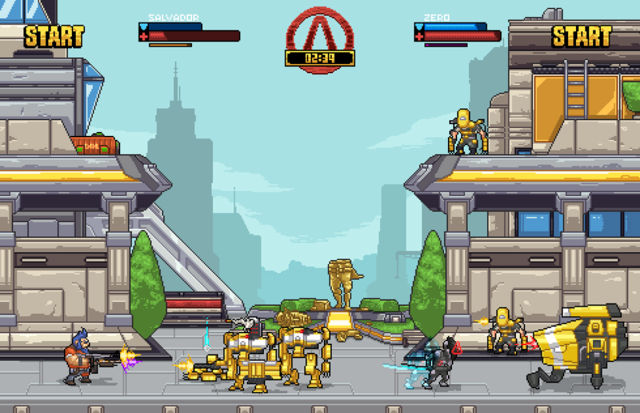 His demake features the utopian city of Opportunity from Borderlands 2, with Sal and Zero tearing apart everything in their way. That is, if you’re planning an incursion against the nicer folks making a living on the planet Nexus in Carbine Studios upcoming MMO. My god these people make a good trailer. Now that the Medic and Engineer are out in the open, this should represent the full compliment of WildStar‘s adventuring classes. All that’s left to do is get me a damn beta key so I can stop drooling over cinematics (in-engine, at least) and start figuring out if this happy, tingly feeling in my stomach is warranted or not. I don’t remember a whole lot about Killzone 2′s multiplayer, but I do remember the various classes and how much I enjoyed it. 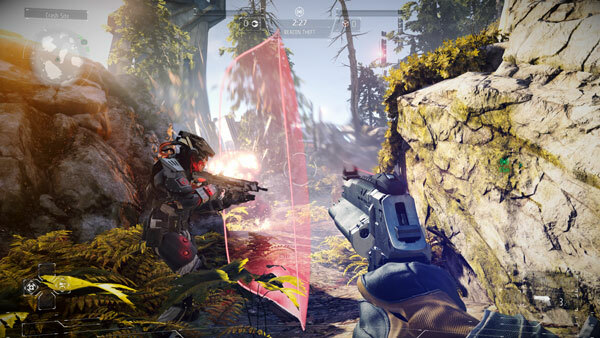 Shadow Fall’s online is good, but not nearly as exciting as I was hoping for. Right now most players are in the 14-player Warzone mode with maybe a third to half of that in the 24-player TDM mode. From what I understand, in Warzone games you essentially play through several different gametypes on a single map. I don’t know if there’s a specific order but I’ve been experience stuff like a CTF style mode, bomb planting, area ca-ture, and straight up deathmatch. If your team wins one of these modes you get a point and at the end the team who won most events wins. It’s actually decently fun and a nice way to experience several different gametypes in one session. With only 14 people it feels a little lifeless, though. I’m not sure if you can play Warzone with 24 people but it feels like it would be more fun with the added players. First, it sounded like the yawn of a giant supercomputer as it stretched itself awake. Then, like a genie coming out of a lamp. They’re all burned into our memories. What’s been your favorite PlayStation start-up screen? This compilation of PlayStation boot sequences celebrates the European launch of the PS4. Yeah, it’s a few days old; we missed it eating all that turkey. Watching it is like taking a trip down the lifetime of several generations of gaming. (These sounds can make their own music after all.) The PS3 start-up screen is a favorite of mine because it sounds like an orchestra warming up before an amazing performance. That was probably intentional and you could theorize that each screen probably says something about how Sony Computer Entertainment saw itself at the time. Coming after the bravado of the PS3 screen, the PS4 greeting seems almost… humble? “Welcome back to PlayStation…” because we know you’ve been here before, but didn’t necessarily have to come back. League of Legends Champions In WarCraft III. That’s A Full Circle. [embedded content] Modding League of Legends characters back into WarCraft III? Cokemonkey proves that even after more than 10 years, the WarCraft III World Editor, grandfather of all MOBA games, is still great, and has absolutely no trouble handling League champions—in particular, Orianna, The Lady of Clockwork. Steam users now have the ability to review the games they play, giving their opinions for others to take into account before they purchase their own copy. The review program is an augmentation of the Recommendation system – where players were able to suggest games to their friends – but here you write up your own review for the games you have played through the Steam client, and anyone interested can read through them. Any recommendations you have written in the past will already be converted to the new reviewing system, which you can revisit and edit if you wish. Steam will not censor the reviews, so both negative and positive assessments will be posted for all to see. In order to prevent trolling or abuse of the system, others can rate reviews that have been posted either favorably or unfavorably, as well as flag poor reviews as spam if necessary. In addition to writing your own reviews and reading multiple reviews for a particular game, you will have the option to follow any writers that may be of interest to you. 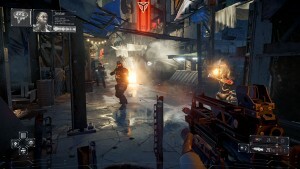 These reviews will not take the place of the Metacritic scores that are currently representative of a game’s rating in Steam, and at present the user reviews do not have any sort of standardized scoring system that can pool everyone’s opinions into a rating that is easy to access. However, Valve does plan on putting something like that into effect before the end of the beta. One particular feature I find pretty cool is that when you read a review by a particular user, it will tell you how many hours they have played. So ideally the reviews of those that have played the game longer will have more weight behind them than reviews from people that only played for an hour or so. All in all, this seems like a worthwhile endeavor from Steam to allow more direct interaction within the player community in terms of recommending games to each other. We should see soon enough whether this type of system will be more useful or beneficial to players than review websites are currently. Take a look at the FAQ or look through the discussion boards for any more information on the reviewing system. 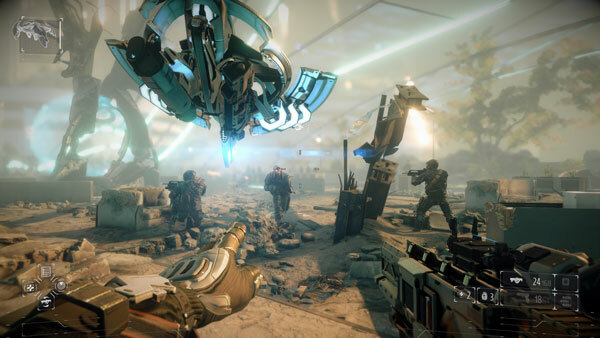 What does it mean to be Next-gen? Graev mentioned to me this evening how many of the consoles still only allow 14-18 players in multiplayer matches, and almost all do not allow cross-platform play. I started thinking about where the next generation of consoles will go when the visual improvements aren’t big enough to hype those as the selling points, and the cost/utility curve finally catches up. 60+ FPS and a bazillion triangles can only go so far, right? I want to see the next generation focus on the online experience. Revolutionize the way we game together. Expand on what it means for a game to be multiplayer. Remove the barriers keeping us from becoming one giant gaming community. Graphics and gameplay will naturally improve. Both Graev and I feel the console community at large is confused about what it means to be always online. Despite the retraction from most of the big hardware devs, many of these games ARE heavily influenced by online components. So many of them have their own account systems now with tons of additional features, and whether you realize it or not if you have your console connected to the internet, your games are utilizing it. I’ve joked prophesied about every franchise sliding toward being MMO. I think it’s going to continue in that direction. Seriously, just take a look at what Bungie is doing. I think five years from now we’ll all be looking at an impending next-gen of 100% online consoles and games. 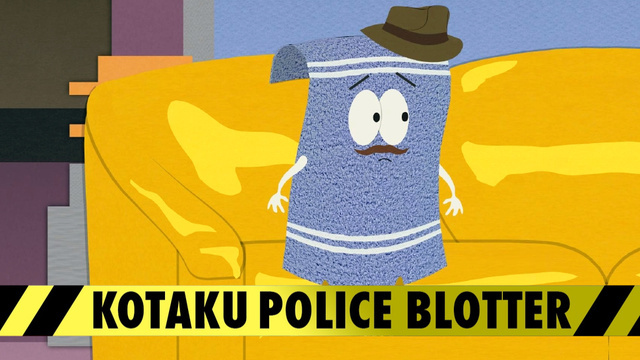 A man in Colorado Springs got (sunglasses) fleeced when he met a dude to buy a PlayStation 4 and ended up with a box of towels. That said, they do dry you off a lot better than the Xbox One. Cops in the Springs say the man answered a Craigslist ad, hoping to buy the console as a Christmas gift for his son. He agreed to meet the seller at a motel on Tuesday to make the transaction. Generally, when I hear a dude answered a Craigslist ad and then went to a motel I expect at least one person to leave the scene with a major dent in their dignity. Sure enough, he did. After forking over the money, the man checked the box and found it stuffed with towels. The suspect fled with the money, jumping in a getaway car waiting in the parking lot. The amount of the transaction was not described by police.